Have a retreat or an event planned for your church and looking for a way to safely and comfortably transport your group? Well look no further than Limo Party Bus Milwaukee for all of your church trip and retreat transportation needs. Book today by calling (414) 622-1380 or filling out the form to the right. Booking with Limo Party Bus Milwaukee is a great way to ensure that older and younger members of your congregation arrive to the destination safely. We have a large fleet of limousines to accommodate groups of all sizes so whether you have a really really large church group or it's a smaller group, we can accommodate you. Our chauffeurs are professional and courteous and have over 10 years of experience as drivers in Milwaukee so your congregation is in safe hands. Your needs and safety is our top priority. We guarantee that we will be on time and we will accommodate your entire group while getting you to and from your church trip destination safely and in style. If your church group includes a lot of kids we will provide supplies that you need to make sure that the kids are satisfied, nourished, and entertained for the ride. We will take care of all of the details for you so that your church trip experience is truly a safe one and one to remember. 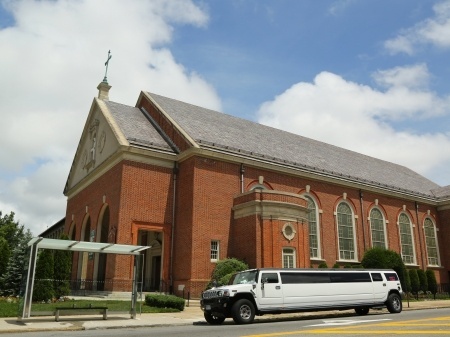 Book your church trip limo experience today by calling (414) 622-1380 or filling out the form on this page.